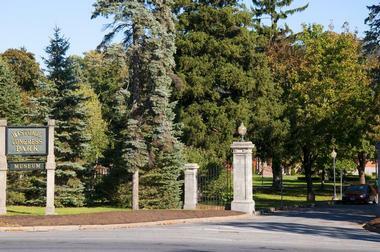 People come to Saratoga Springs in the Hudson Valley for several reasons: the healing mineral springs, thoroughbred horse racing, the area's rich history and Skidmore College. Saratoga Springs, New York is located in the foothills of the magnificent Adirondack Park, about three hours from New York, Boston, Philadelphia, and Montreal. Saratoga Race Course is synonymous with Thoroughbred Racing in New York and is one of the top attractions in Saratoga Springs. More than a million people attend one of the live race meets held there each racing season, and many more tour the grounds. 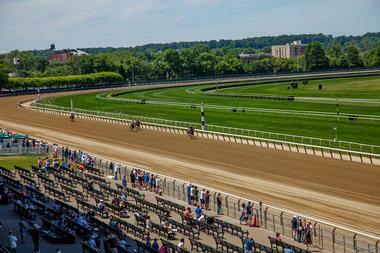 It is the third oldest track in the US and can hold up to 50,000 people, making for an electric atmosphere. Why not take in a race and feel the ground move under your feet and hear the thunder of hooves as the horses gallop past the finishing line? Next, take a forty-five minute tour to learn about the history of the track. The tour will highlight a number of the property's unique architecture and landscapes. 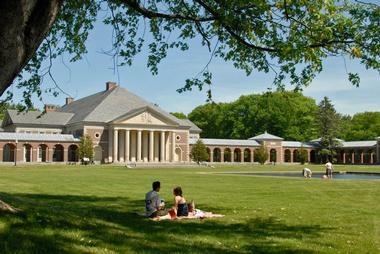 Saratoga Spa State Park is listed as a National Historic Landmark and offers many recreational activities to its visitors. Take a walk through the romantic grounds and admire the abundant classical architecture. Take a trip along to Congress Park and Congress Spring, which has become the center point for an entire park and village. Congress Spring attained international fame for its mineral water, and to date it is the most famous spring in Saratoga. 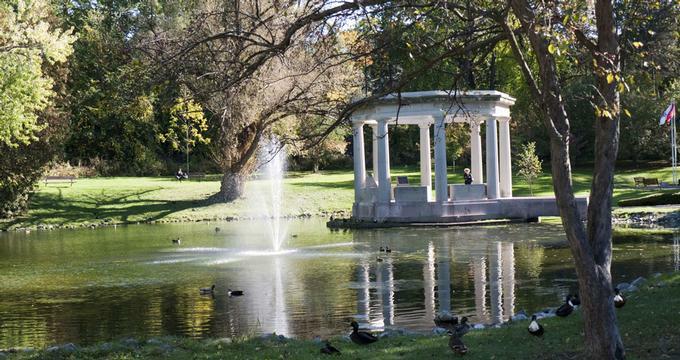 Visit the great pavilion, which is decorated in the Greek Revival style and sit beside the healing waters and enjoy the beautiful nature. Wander down to the Columbian Spring, Deer Park Spring, and Hathorn Springs to see the individual art pieces that adorn each site. Beautiful flowers and plants line the walkways and paths, creating an overall feeling of peace and serenity. 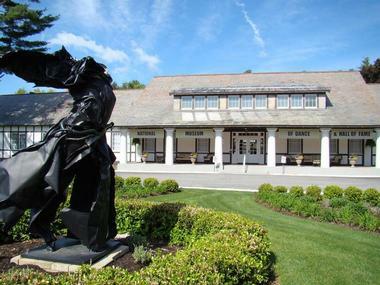 For those with a passion for racing, no trip to Saratoga would be complete without a visit to the National Museum of Racing and Hall of Fame. The museum documents the changing political, social, economic, and cultural views of racing from the eighteenth century to today. Wander amongs the exhibitions that showcase the history of racing through a variety of mediums, including paintings, photography, sculpture, and trophies. Visit the hall of fame, where you will recognize names such as Seattle Slew and Northern Dancer. With frequent special exhibits on display, make sure you check out the website before visiting so you don't miss out. Yaddo is an artist community based on a 400-acre estate in Saratoga Springs. Founded in 1990, it has become a haven for aspiring artists to work without having to worry about the interruption of day-to-day life. While Yaddo is off limits to the general public, Yaddo Gardens are available for visits all year around. 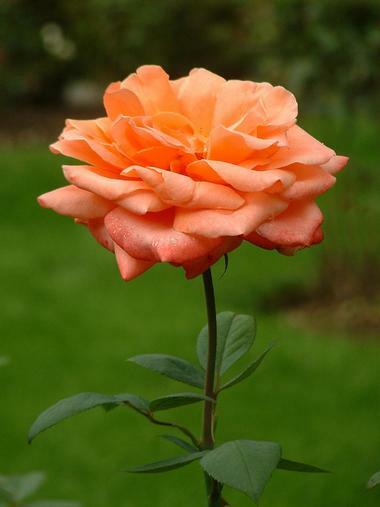 The gardens are simply beautiful, and from mid-June to late August you can see the rose gardens in full bloom. From mid-June through mid-September, on the other hand, the rock garden is in full flower. Take a stroll around the beautiful grounds and walk in the footsteps of some of Yaddo’s most famous guests, some of which include Truman Capote and Sylvia Plath. It is called the Children’s Museum, but kids call it a giant playground. It does not matter that the museum’s goal is to teach, it teaches in a way kids know best – by letting them touch, move, use, and explore everything. Even more fun is the idea that they do it with their parents. 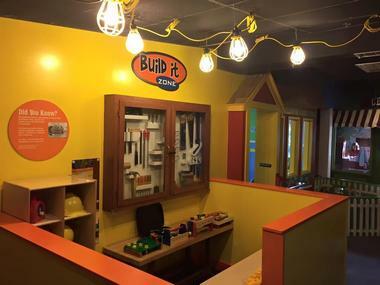 While the museum exhibits and programs are designed for kids under 7, they are interactive and engaging so that older siblings can also enjoy themselves. 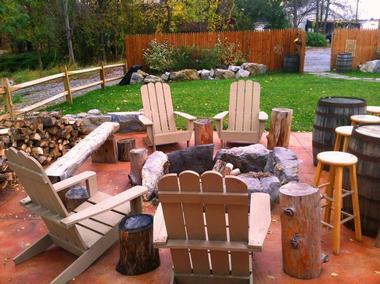 If you are wondering what to do in Saratoga Springs with kids, this is a great place to visit. Exhibits range from a giant Treehouse with habitats for various animals and Silly Science Center to the Little Theatre and Fire Station. The museum is a fabulous venue for unforgettable birthday parties. In July 2011, the Saratoga & North Creek Railway started taking passengers from Saratoga Springs to North Creek and seven stops in between, taking over for the Upper Hudson Railroad. The Saratoga & North Creek Railway offers passengers a thrill ride in their vintage rail cars pulled by a powerful diesel engine along the Hudson River and through the mountains of the Adirondacks. The dome cars have fully equipped kitchens where superb meals are prepared for the passengers, just like in older, more elegant and relaxed times. During the winter, the Railway’s famous Snow Train operates an historic route to North Creek with a free shuttle service to Gore Mountain for some winter fun. With guests such as the New York City Ballet and The Philadelphia Orchestra, the Saratoga Performing Arts Center (SPAC) is internationally recognized for supporting diversity within art. 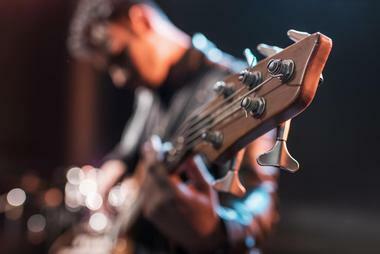 With a myriad of weekly events from chamber music, jazz, rock, and pop concerts to opera and the yearly Saratoga Wine and Food Festival, SPAC offers something for everyone. Dedicated to encouraging the next generation’s interest in art, SPAC admits children under twelve to the lawn free of charge for some classical events. The location itself is exquisite, a 25,000 seat amphitheatre surrounded by hiking trails, geysers, and natural mineral springs. Make a visit to SPAC, a high priority on your trip to Saratoga. A stunning celebration of the human experience via art, the Tang Museum encourages curiosity via interactive experiences. The art is vivid and contemporary, and the Tang Museum is host to twelve exhibits each year. Affinity Atlas is a beautiful exhibit that displays African pottery and Southwest textiles as well as contemporary ceramics, painting, photographs, and videos. 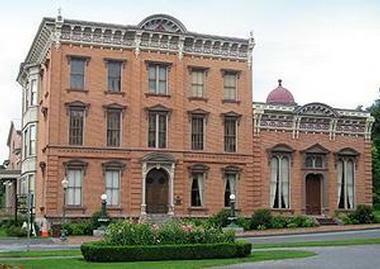 The Saratoga Springs History Museum is dedicated to celebrating the history and lives of Saratoga Springs. Here you will discover over 15,000 artifacts and a photographic archive that holds over 325,000 photographs of Saratoga dating from 1855 until 1980. Make sure to visit the exhibit Vice: The Darker Side of Saratoga Springs, which forays into the underground world of gambling and rum smuggling during the prohibition era. Take a step back in time and visit the Canfield High Stakes Gambling Room, which still houses much of the original décor and furniture. The National Museum of Dance and Hall of Fame is a celebration of all forms of dance throughout the years. Constantly developing, the museum is home to a growing collection of photographs, videos, costumes, documents, and biographies. Opening in spring 2016, the museum will showcase its feature exhibition The Dancing Athlete, a look at the connections between dance and sports. 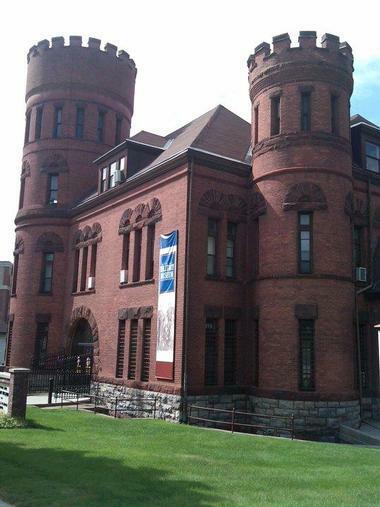 For the history fans among us, the New York State Military Museum is the perfect stop in Saratoga Springs. Beginning in 1863, the collection has continued to grow and is now home to over 10,000 artifacts. The artifacts relate to New York’s military forces starting from the Revolutionary War up to Desert Storm and include weapons, uniforms, artillery pieces, and art. There is also a state of the art library that contains thousands of photographs, letters, and maps. It truly is a place where you can become immersed in the military history of New York. 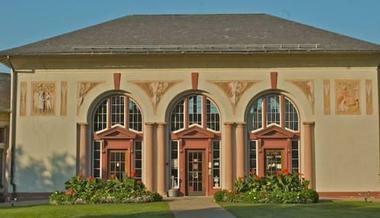 Saratoga Arts was founded in 1986 in order to develop and promote a thriving cultural environment in Saratoga. 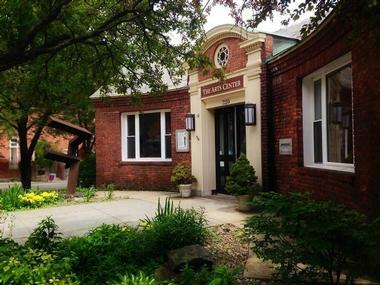 Saratoga Arts operates The Arts Center, which offers exciting art exhibits, organizes classes and workshops for students of all ages, hosts popular public performances, screens movies, offers concerts and theatre performances, and coordinates many art programs that bring the arts to all parts of Saratoga. Saratoga Arts also offers grants to artists and various community arts and cultural programs as well as artist residencies in schools in Saratoga, Montgomery, and Fulton Counties. Saratoga Arts organized 78 exhibitions in 2014, allowing 574 artists to present their work. Not sure what to do during your visit to Saratoga? Head down to the Visitors Center where you will find information kiosks, helpful staff, maps, and exhibits. From the Visitors Center, you can book guided tours as well as organize self-guided walks and biking or driving tours. Even if you have your trip planned, the center is well worth a visit for the architecture alone. Floor to ceiling windows decorate the front, offering stunning views. Built in 1915, it was designed as a gateway into the city. Murals framing the front of the building denote significant events in Saratoga’s history. 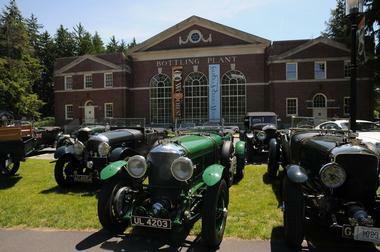 If you are interested in automobile history, visit the Saratoga Automobile Museum with its varied exhibits, which range from paintings from famous artists Stu Eichel and George Frayne to a large collection of both household and racing cars. The exhibits change regularly. Visit the hall of fame, which celebrates the competitors and personnel that have improved auto racing throughout New York State. The museum is located in the Saratoga Spa State Park close to other must-see attractions, making for a full and varied day out. People who want to eat at Sweet Mimi’s often have to wait for a table for up to an hour and, amazingly, nobody minds. White and clean with a pastry display case and a row of jams as the only decorations, this downtown eatery is popular for its delicious menu that changes daily. Everything is made with seasonal, local, fresh ingredients, from farm eggs to garden herbs. Challah bread and fresh ciabatta come daily from Brooklyn, syrups come from Michigan, and they work with a number of local farms for sausages, chicken, dairy, and much more. Their breakfast sandwiches are fantastic – try the Italian Sandwich with prosciutto, eggs, mozzarella, spinach, and pesto on crunchy ciabatta. Grab one of the oversized chocolate chip cookies Sweet Mimi’s is famous for on the way out. Olde Saratoga Brewing Company was established in 1997 as a subsidiary of California’s Mendocino Brewing Company. 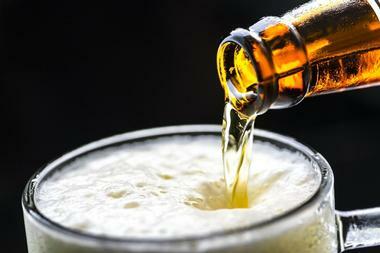 It is today the fourth biggest brewery in New York State and manufactures more than 30 different kinds of high quality craft lagers and ales. Brewery tours are popular and informative, but the real fun lies in their spacious, unpretentious taproom. It has a large, fun bar and not too many decorations, except, of course, beers and beer paraphernalia. It can get crowded on Saturdays. It is an old-school taproom that does not serve food, so if you are planning on sampling a large number of beers, bring some snacks or food from another place. Lake Local is a restaurant where you can come by boat, canoe, kayak, car, bike, or on foot. You can go for a swim off their lovely small beach while you are waiting for your fish tacos or sit in one of their comfortable Adirondack chairs and soak in the rays. There are also tables indoors and a lovely bar, but unless it is raining, everyone would rather wait for their table outside. 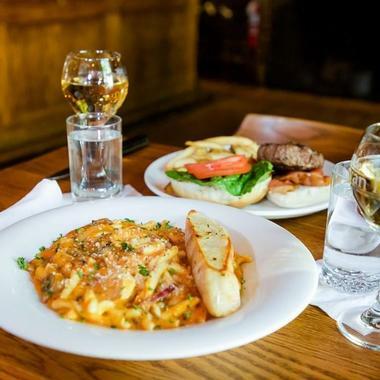 The food is simple and just what you need when enjoying the view of Saratoga Lake while watching the kids frolicking in the water: clam chowder, fish and chips, mussels, grilled fish, burgers, and much more. The most popular by far is the Local Steamer Bucket with shrimps, beer sausages, potatoes, clams, mussels, and corn on the cob. They also have a nice selection of beers and delicious cocktails. From May to October, every Wednesday and Saturday hundreds of people flock to the High Rock Park Pavilions to stock up on fresh produce from more than 50 vendors. 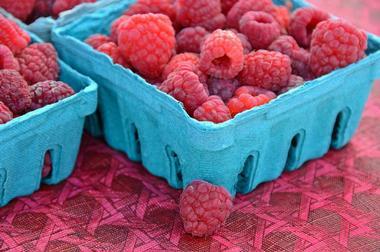 All vendors are also producers and grow their goodies in neighboring Saratoga, Rensselaer, Schenectady, or Washington counties. When the winter comes, the whole market moves to the impressive Lincoln Baths Building for the Saturday’s big event. There is always music, information tables from local organizations, and culinary demonstrations by renowned chefs. 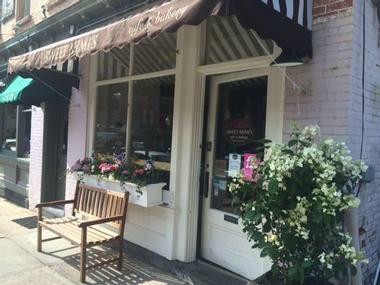 Located only about four miles from downtown Saratoga, the Saratoga Winery will charm you with its rustic comfort, excellent wines, and knowledgeable wine makers who are always ready to talk about their passion. The winery uses carefully selected grapes mostly from the Finger Lakes region to make a range of wines such as Dry or Semi-Dry Riesling, Pinot Noir, Chardonnay, Cabernet Sauvignon, Cabernet Franc, and blends of some of them. Their signature wine is Melomel, a centuries-old type of wine made with honey and without chemicals or sulfites added to affect the fermentation. The result is smooth, sweet wine that isn’t a dessert wine but is healthy and delicious. Check the winery schedule of events – they often have live music.